Well the elders are in bloom again, and hedgerows all over froth and foam with the delicate white unbrels, almost like the spring tides coming in. This year is a bit later than ususal, due to the length of the Northern hemisphere winter, but now the sunshine has returned, and naure is more than making up for her long sleep. I love this time of the year, and stock up on elderflowers for cordial, sugar, and champagne. All of it delicious, and making the most of the best of the season’s forage. Elder is really abundant where I live, so there is always plenty to go around during the flowering and fruiting seasons; for us foragers and for the birds. 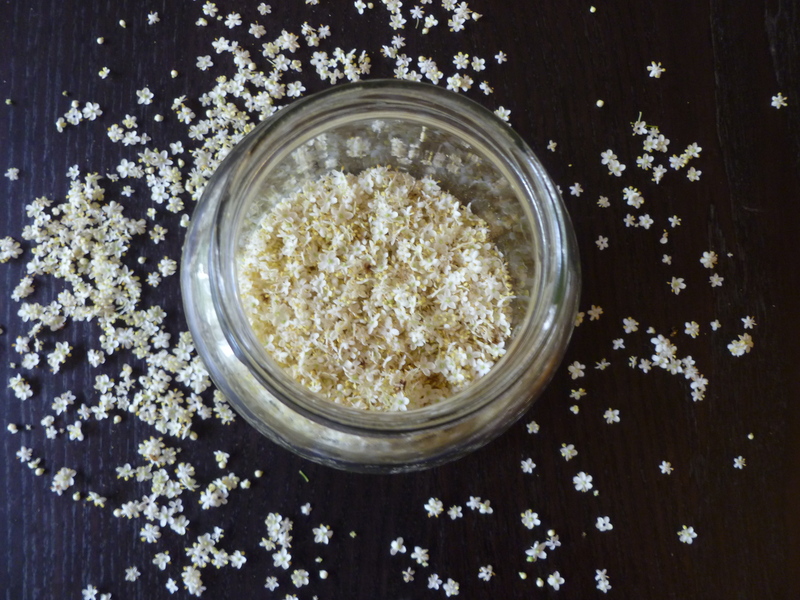 Elderflowers are not just for the sweet things in life, they are also great in salads, and I have heard of sauces to go with meat. An elderflower sauce is on my list of Things I Want To Experiment With. Like most food bloggers, I guess, I have several such lists – electronically, on paper and in my head. A colleague of mine recently found them in some notes I had taken as part of a work trip, and seemed surprised that I would also be making lists of flavours in between meetings. As well as the flavours that exist on my lists, or go around in my head, I have a number of different or unusual flavours in my kitchen. For example, I am never without vinegars of all kinds of flavours – raspberry, blackberry, tarragon, rosemary; I even have coconut vinegar since a Filipina friend introduced me to it when she kindly gave me her adobo recipe. 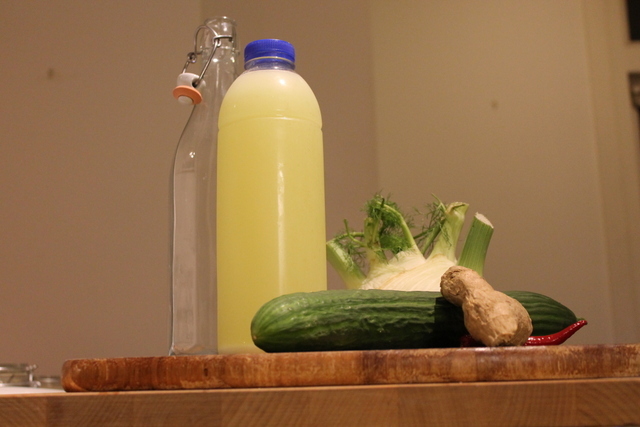 For me, then, it wasn’t too much of a stretch to think that elderflower vinegar would be a great way to keep hold of the elderflower season for just a little bit longer, but without all the sugar. Try to pick elderflowers on a dry day, in the morning. There will be more pollen and nectar in them, which makes the flavour more intense. This vinegar is good with salads. I am currently embarking on the 5:2 regimen, because my need to develop great food for this blog was beginning to have a toll on my waistline. I have found that the addition of a few herbs to some of this vinegar is a good way to dress a slad without the need for oil. You can make marinades with it, and even a couple of drops in some water gives a nice flavour, that is not too sweet. Try to pick the flowers in the morning after a dry spell, in order to maximise the pollen and the flavour. Remove the elderflowers from the stalks by pulling a fork through the stalks in the diretion of the flowers. You don’t have to be too fussy, as long as you have removed the largest stalks. Steep the elderflowers in the vinegar, in a non-metallic container or bowl. Cover with a tea towel, and set aside for a few days. Whenever you remember, give the flowers a stir. 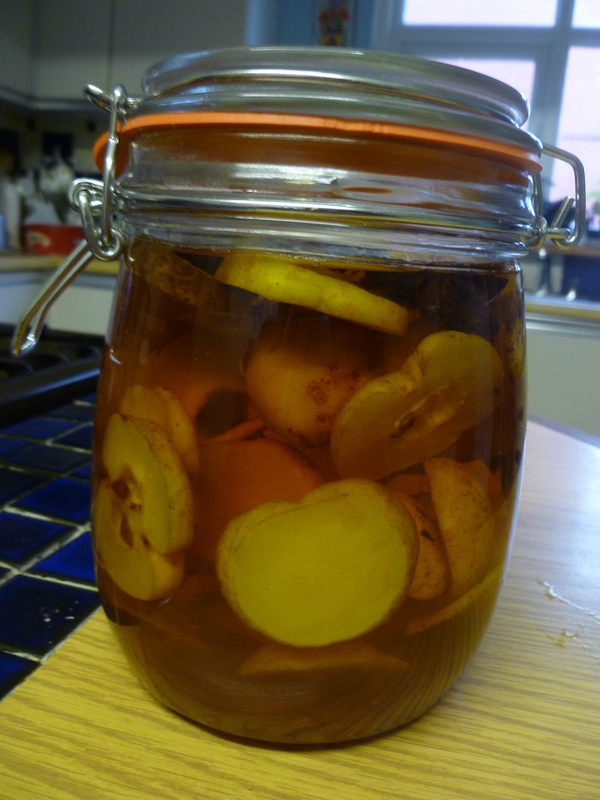 After three days to a week, your vinegar should have reached the strength of flavour that you want. Bottle up into sterilised bottles. This vinegar will keep well in a cupboard. I cannot resist this fragrant flavour, so the trouble is making it last! Having been inspired to start blogging again, I have been making the most of recent inspiration for the next few Feast posts. The cooking and recipes, as always, are my own, but credit for the dishes are definitely due elsewhere. I take a magpie approach to food, often finding shiny little pieces here and there. Maybe one day I’ll enter the 21st century and get myself a smart phone, but for now, I forage for ideas, as well as edibles, and record them all in a series of notebooks, which I have to go digging through in order to remember the inspirations. Does anyone else do this? Please tell me that I am not the only one scribbling things down furtively in restaurants, shops and even the street. For me, it is like foraging and farming in note form, and as much of an obsession as they are for me in real life. I’m sure we are all familiar with candied peel, and even crystalised angelica, if you are fond of cake decoration. These days , it seems that candied vegetables of all nature are appearing on both sweet and savoury dishes in restaurants and pop ups up and down the country. 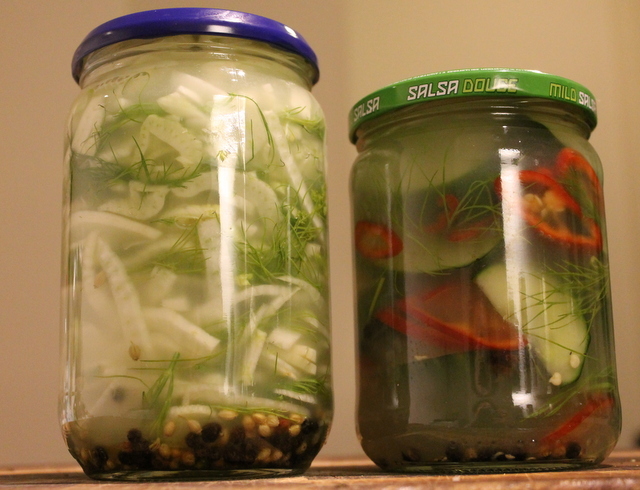 One of the first, and the one that instantly caught my magpie eye was candied fennel. I have also seen candied celery and beets (especially chioggia beets) among other things on menus, although I find the idea of them much less appealing. Fennel is one of my favourite vegetables, and I love it in risotto, soup, and salad, braised, roasted and raw. This is a great way to use the tougher outer leaves and stalky bits if you are not keeping them for stock, too. This version is really simple, despite my fears that it may require multiple exposures to sugar syrups of varying strengths, it isn’t the case. I kept mine plain, but they are also good served as sweets, and sprinkled with sugar. Today’s recipe was inspired by Simon Rogan, who is a far better forager and cook than I could ever hope to be. I can’t remember where I first heard about it, but I suspect it was on a cookery programme, because I have written down “candied fennel, Rogan. V. interesting, possibly for strawberry tarts? Experiment”. 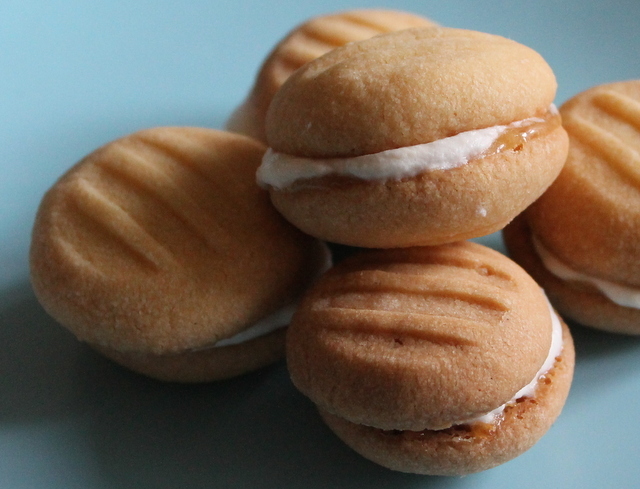 I finally got round to making this, as part of an even wider experiment, that does not involve strawberries or tarts of any kind, but you’ll have to wait until my next Feast post to find out more about what I wanted them for. This cliffhanger is not quite of Eastenders Duff Duff proportions, but hopefully, you’ll want to keep reading. Make a simple sugar with the water, sugar and lemon juice. Heat gently until the sugar has dissolved. Add the fennel. 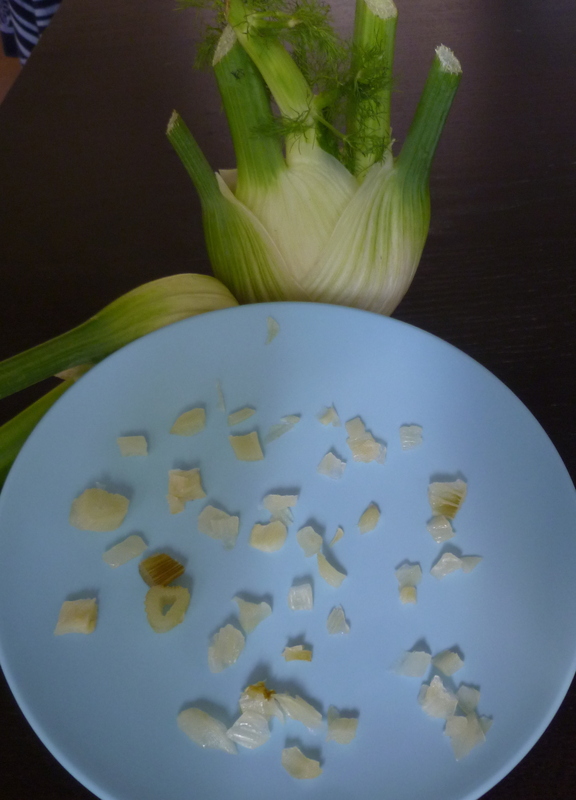 Bring to the boil then reduce to a simmer until the fennel is translucent, but retains some texture. It took me about 15 minutes, but it depends on the size of the dice, and how much bite you want them to have. Remove from the heat, and strain off the cooking syrup. Don’t discard this, it is perfectly good for other uses, and you know it’s a shame to waste such a tasty sauce. 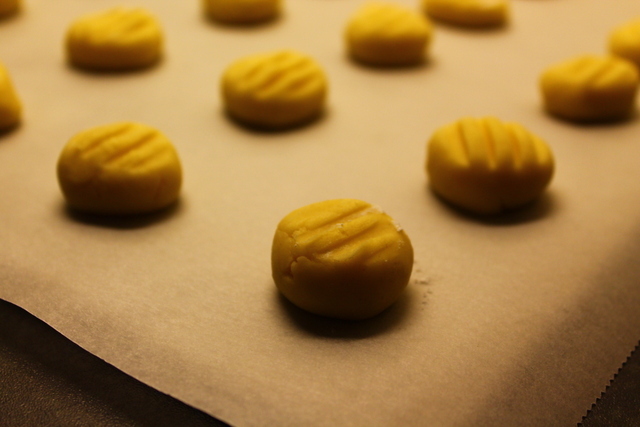 Put some greaseproof paper, wax side up on a baking tray, and spread the fennel dice out into a single layer. Allow to cool on the tray, then store in an airtight container before use. Enjoy them on their own, with sugar or as part of something delicious. 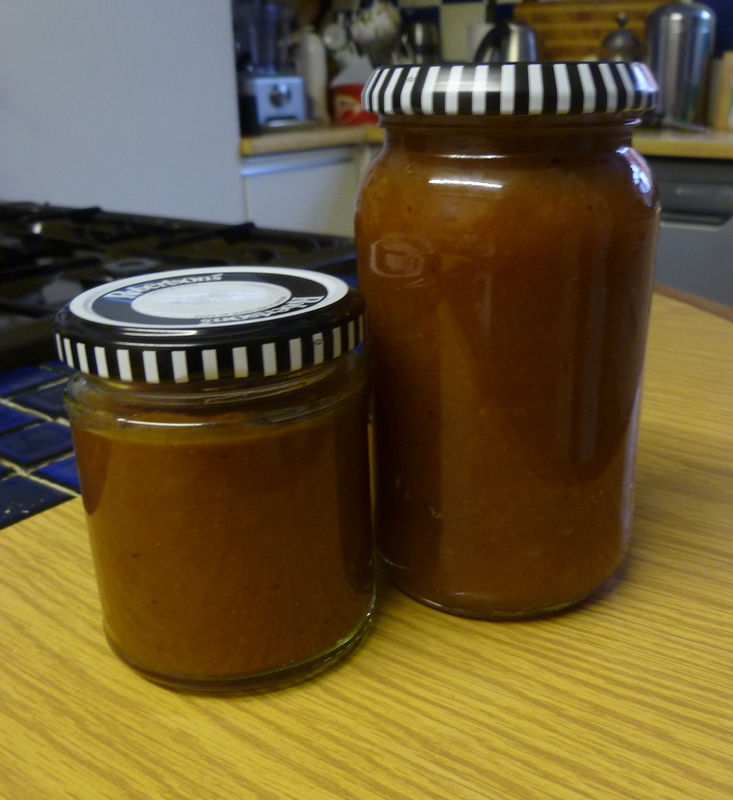 Following on from yesterday’s jelly making escapades, I had a load of fruit pulp from the Japanese quince to use up. I always try to use up the fruit pulp leftover from making jelly, and frequently make fruit butters, or even add them into a pie. Japanese quince is perfect for this kind of repurposing, and you can make all manner of things, like pies, crumbles, stewed fruit, and many other things. Had I found these earlier on in the year, I may have been tempted to use the pulped fruit in a mincemeat of some kind, but I will probably experiment with that later. 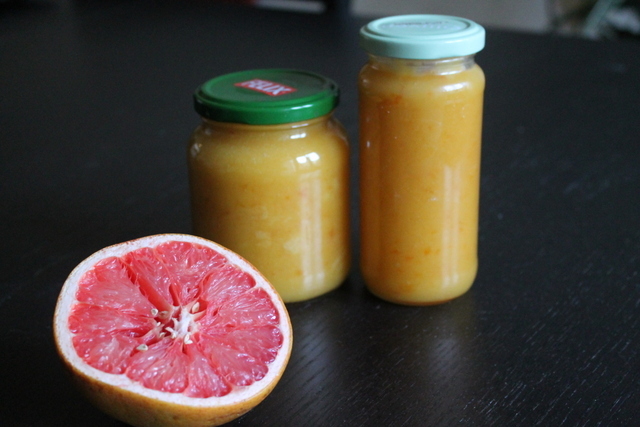 I could also have made a sweetmeat, like the membrillo I made last year. However, this quince needed to be transportable, so I decided upon jam, since it had to get lugged all the way back to the Netherlands and needed not to leak into our luggage. In keeping with the Persian theme, I wanted to spice the quince with flavours from the Middle East. I decided upon cardamom and cloves, to give it heat. A lapse of concentration also meant that a teaspoon or so of cinnamon also found its way in there, but it’s none the worse for it. This jam is sweet, although not as sweet as it could be. I used a bit less sugar than the standard 1:1 ratio of the traditional set jam. I had the pectin from the fruit, and the bag of seeds in any case, and I wanted it to be more spicy than sweet. I think the spice mix would also have worked well had I decided to make a membrillo with it. The only unfortunate thing is that Japanese quince do not turn the beautiful red that ordinary quince become after a long cooking time, so this is a rather brown jam, but it is no less tasty for it. Like the jelly, this will also be good in stews and gravies, but this will work better with lamb, and chickpeas. While the fruit is still warm, after boiling, pass it through a sieve, so that any skin and remaining pips are retained by the sieve, and you only have fruit pulp left. You will probably need to push it through with a wooden spoon. Sterilise the jam jars and lids, in a dishwasher, in a low oven or in a pressure cooker. Weigh your pulp. I got 400 g of fruit pulp from mine. Then you need 3 parts granulated sugar to four parts fruit, so I measured out 300 g of sugar. Put the seeds in muslin that you used to produce the jelly into the pan with the fruit pulp, sugar, and equal weight of water. Tie the spices up in more muslin, or in the same piece of muslin as the seeds if it is big enough. If you are using ground cinnamon, add this straight into the pulp and mix in well. 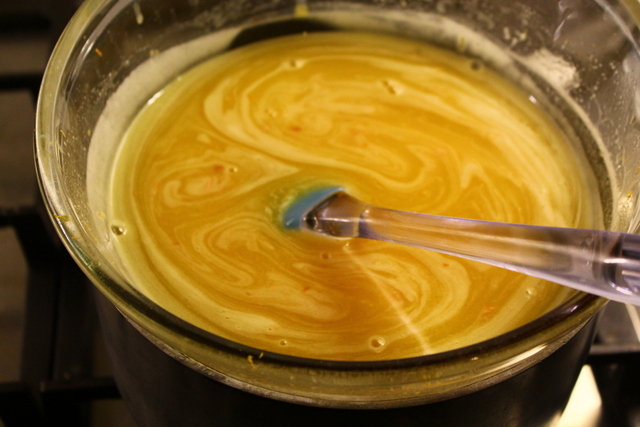 Heat gently until the sugar has dissolved completely and then bring it up to a rolling boil. Again, the jam will set when it reaches 104.5°C, or passes the fridge test. As soon as the jam reaches setting point, sterilise any ladles, jugs or jam funnels you are going to use with boiling water. Pour the jam into the jars, and fill it to within 2mm of the top. This jam is quite thick, so give it a bang if you can to dispel any air bubbles. Put wax discs on the top, with the wax side down, and seal with the lids while the jam is still hot.